Managers play a critical role in engaging and retaining their employees. Following are three tips ignite engagement across generations. Scheduling career talks with all team members. 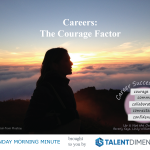 Coaching to explore opportunities for all members to achieve career goals. Helping build skills in place. Being open to new ideas and innovation from employees. Being flexible with work schedules. Delegating more tasks and learning opportunities on to team members. Scheduling lunch dates to get to know your employees better. Shifting to 25% talking, 75% listening. Sharing the significance of each individual’s contributions regularly. Beating the rumor mill – be a proactive communicator. Linking employees into other teams’ meetings to network and learn with others. Being visible and available to all team members. When leaders ignite engagement, they recognize the individuality each person brings to work. 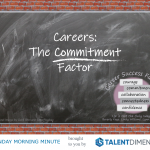 When employees are engaged, they are committed, loyal and productive corporate assets!